Celebrate Christmas Eve at Luna Outdoor with this undeniable modern day classic. All of London is in love - or longing to be - in Four Weddings and a Funeral writer Richard Curtis' first directorial effort. 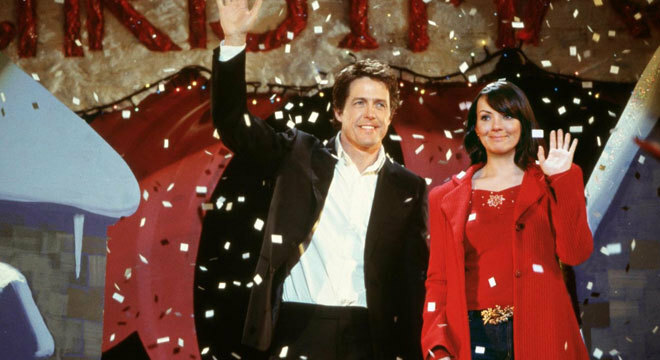 Billed as "the ultimate romantic comedy," Love Actually involves more than a dozen main characters, each weaving his or her way into another's heart over the course of one particularly eventful Christmas. The seemingly perfect wedding of Juliet (Keira Knightley) and Peter (Chiwetel Ejiofor) brings many of the principals together, including heartsick best man Mark (Andrew Lincoln), who harbors a very unrequited crush on Juliet. There's also recent widower Daniel (Liam Neeson), trying to help his lonely stepson Sam (Thomas Sangster) express his true feelings to a classmate. Across town, devoted working mother Karen (Emma Thompson) tries to rekindle the passion of her husband, Harry (Alan Rickman), who secretly pines for a young colleague of his. In the same office, the lonely Sarah (Laura Linney) not-so-secretly pines for a man just a few desks away (Rodrigo Santoro), who returns her affections but may not be able to dissuade her neuroses. Providing the unofficial soundtrack for all of the couples is an aging rocker (Bill Nighy) who just wants to cash in and get laid -- but even he might find a meaningful relationship in the most unlikely of places. We're SOLD OUT at Camelot and Luna Outdoor.